Emory University and some surrounding properties will be incorporated into the city of Atlanta Jan. 1, 2018. The Atlanta City Council approved the annexation Monday in a unanimous vote despite objections that the annexation would harm DeKalb County schools. The University, which first announced it would petition for annexation in Fall 2016, will join the city of Atlanta in the largest expansion of city borders in decades. The 744-acre expansion will move city borders eastward. The move brings Emory one step closer to a MARTA light-rail line that runs through the University’s campus, a line that was proposed by MARTA in 2012. The line, which is need of funding, could now be funded using city sales tax funds. The Council vote was 13-0-1, with Councilman Alex Wan abstaining. Wan, Emory Libraries’ Director of Development, abstained to avoid any conflicts of interest. 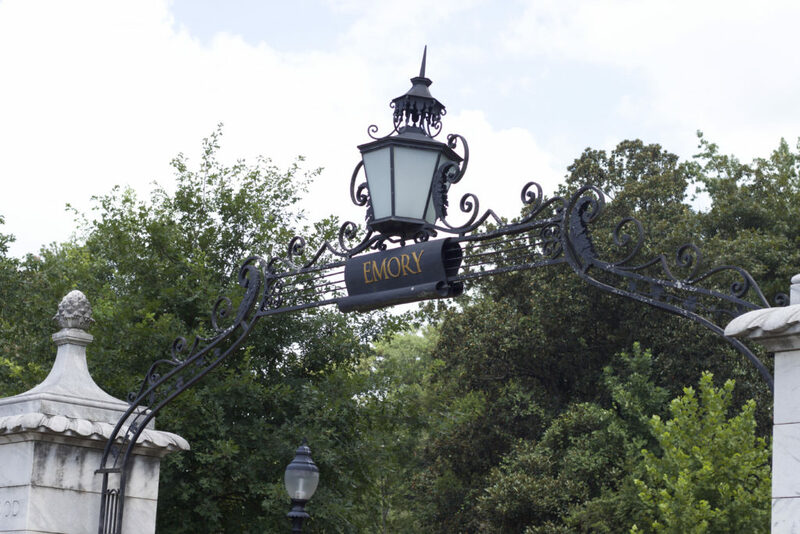 Emory filed its petition June 27, and University President Claire E. Sterk said in a June 27 University-wide email that annexation was expected to be completed by Fall 2017. The Council also approved annexation requests for Centers for Disease Control and Prevention (CDC), Children’s Healthcare of Atlanta (CHOA) at Egleston, Villa International, Synod of South Atlantic Presbyterian Church and a Georgia Power substation. DeKalb County reached an agreement with Atlanta Sept. 26 to continue providing some services to the annexed area. The settlement resolved objections the County had, and Atlanta will pay DeKalb County $1 million for up to 10 years to continue handling fire services. DeKalb County will continue water, sewer and stormwater service, so rates will not change as a result of the annexation. Emory Police Department (EPD) will continue to service Emory’s Atlanta campus, but backup will be provided by Atlanta Police Department (APD) instead of DeKalb County Police Department, Senior Director of Operations for Business and Administration David Payne said at a Nov. 28 University Senate meeting. Residents in the annexed area will be allowed to vote in Atlanta elections, which will increase the city’s white voting population. The annexed area is about 63 percent white, 22 percent Asian and 11 percent black, while Atlanta’s voting-age population is 49 percent black and 44 percent, according to a 2015 Atlanta Journal-Constitution article. Voters in the annexed area cannot vote in Tuesday’s mayoral election runoff. Most properties in the annexed area are tax-exempt and do not pay property taxes. Emory owns the land at the Emory Conference Center Hotel, Emory Point and some residential homes, but because the land is used for commercial or residential purposes, those properties may face slight changes in jurisdictional rates. Jeff Rader, the DeKalb County commissioner that serves the annexed area, is skeptical of the annexation service agreements. “While Georgia State Law affords DeKalb limited opportunities to influence the process, we believe that the intergovernmental agreement we negotiated with the City of Atlanta on service delivery will address some, but not all, of the adverse impacts of annexation on the surrounding unincorporated area,” Rader wrote in a Dec. 4 email to the Wheel. Annexing Emory and surrounding properties may pave the way for a MARTA light-rail line that runs down Clifton Road. The project was conceived nearly 20 years ago, and the estimated $1.2 billion-line would connect Lindbergh Station to Avondale Station in Decatur, Ga. Under terms of the annexation agreement, DeKalb County and Atlanta will make a joint request to MARTA to hold a public hearing in the annexed area to discuss rapid transit for the proposed Clifton Corridor project. After annexation, Atlanta will have jurisdiction in the area surrounding about half of the proposed track line, according to WABE. The annexation will allow city tax funds to be used for construction of the MARTA expansion to the annexed area. MARTA has been studying rapid transit on Clifton Road since 2011, and the proposed project is currently in its environmental impact statement phase. Transit service would not begin until 2025, according to the approximate project timeline. One MARTA proposal would bring light-rail stations to CDC/Emory Conference Center Hotel, Emory-Rollins and Haygood Drive/Andrews Circle. Another proposal would bring stations to CDC/Emory Conference Center Hotel and Emory University Hospital. Both proposals start at the Lindbergh Center MARTA station and continue through Decatur to Avondale Estates. Emory University, the CDC and CHOA are the second, 12th and 15th largest employers in the greater Atlanta area, respectively, and a light-rail line would serve commuting employees. Most terms of the annexation were reached Sept. 26, but the Council waited to approve the annexation in its entirety until Atlanta officials decided whether Atlanta Public Schools (APS) boundaries would change with the new boundaries. Atlanta’s Finance/Executive Committee voted 4-0 Nov. 29 to extend APS’ boundaries effective July 1, 2018. The expansion was not included in the initial annexation plan. The annexed area includes nine students who are currently enrolled in the DeKalb County School District (DCSD), but more than $2 million in property taxes paid by commercial or residential tenants will be directed from DeKalb County public schools to APS. DCSD Superintendent R. Stephen Green said the decision to extend APS boundaries establishes a dangerous precedent for annexations. Atlanta Public Schools (APS) Superintendent Meria Carstarphen voiced her support for the expansion of her school district. DCSD attempted to block a previous annexation when it filed a lawsuit against Atlanta Dec. 29, 2016. The lawsuit was dismissed, and 59 properties on or near University Drive became part of the city. “Poorer schools in DeKalb will make it harder to deliver services to our students,” Rader wrote.